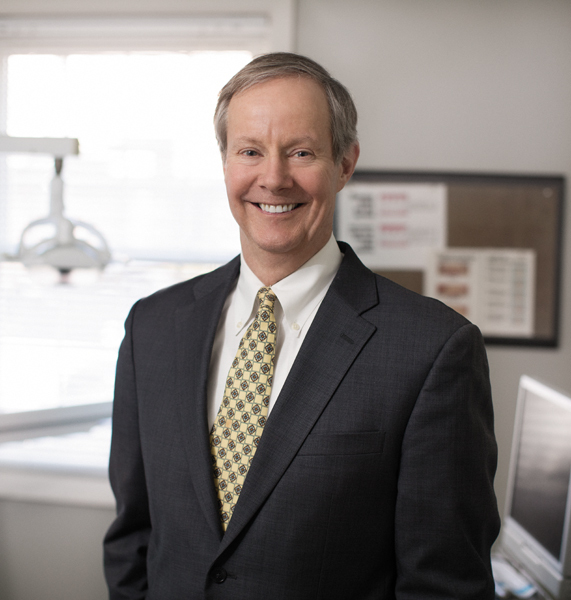 Francis McCarthy DMD has enjoyed practicing dentistry in Andover since 1986. Dr. McCarthy's office has evolved to a family, cosmetic & restorative dentistry practice that treats children, parents, grandparents and great grandparents! He uses the most up to date technologies to provide the best dental treatments to all of his patients. His office was featured in Doctor of Dentistry magazine for its use of digital radiography for the early detection of dental decay and periodontal disease while reducing radiation exposure by 80%. Dr. McCarthy lives in Andover with his wife Joan. His son Jim lives in Andover with his wifeTory and their two children Ellie and James. His son John lives in California for the majority of the year with his fiance Erin while he plays professional hockey for the San Jose Barracuda. His daughter Kerry is being married to her fiance Marc in September 2018. Dr. McCarthy is a member of the Massachusetts Dental Society, the American Academy of Dental Science, the L.D. Pankey Alumni Association,Academy of General Dentistry, and the Turner Spear Study Club. Schedule a visit with Dr. McCarthy today by contacting his Andover practice!